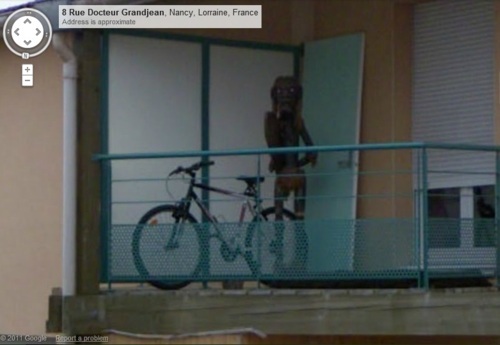 Some Strange Things Have Been Found In Google Maps...And Here Are The 27 Creepiest. 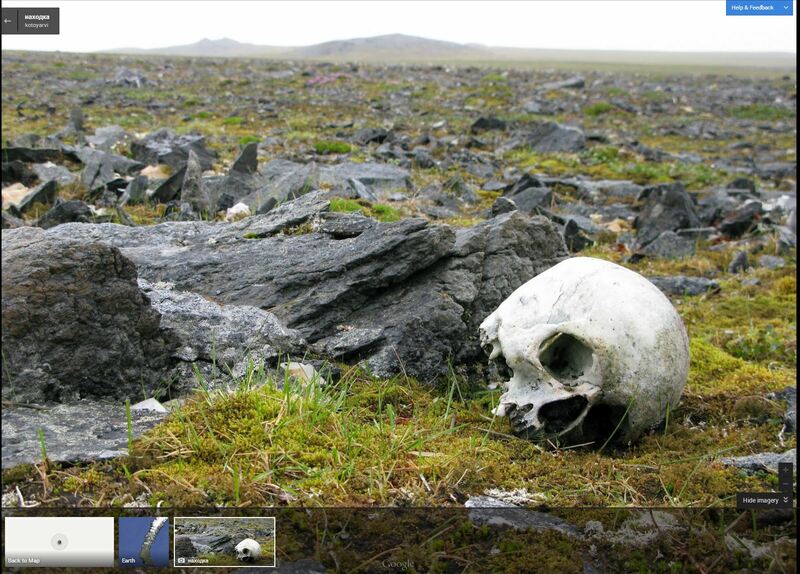 If you thought Google Maps was just for getting directions, you're sorely mistaken. 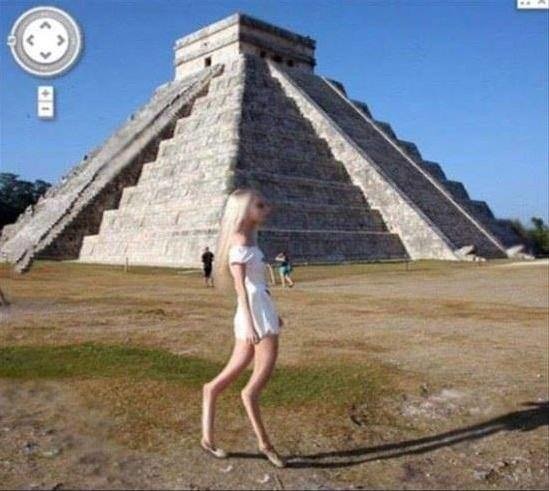 Half the fun of Google Maps is using it to explore the world. Sometimes during the course of that exploration, you come across some really freaky/creepy/terrifying stuff, like these 27 images. Brace yourselves, it's about to get weird. 1. 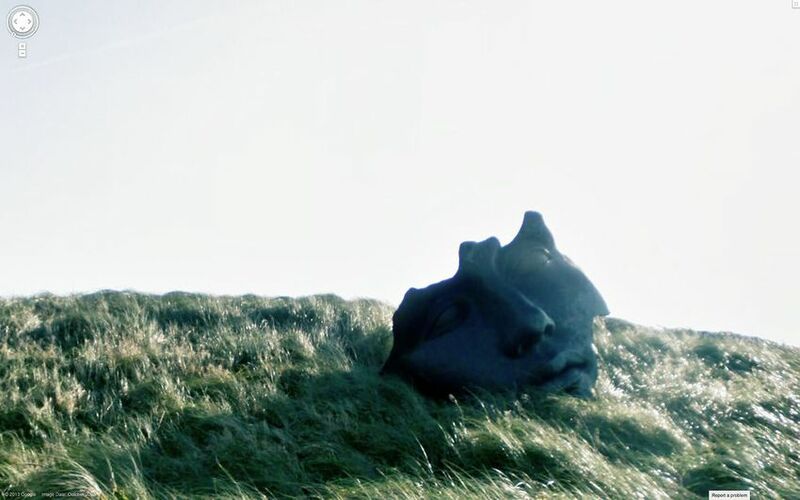 The broken face on the hillside. 2. Well that's a creepy thing to write on the roof of a building. 3. Oh. 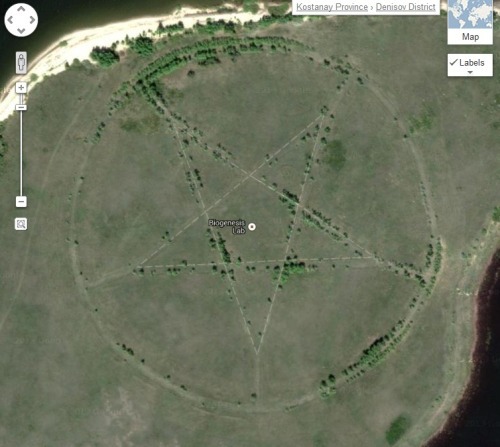 That giant inverted pentagram was must have been created by accident. Yeah that's probably it. 4. 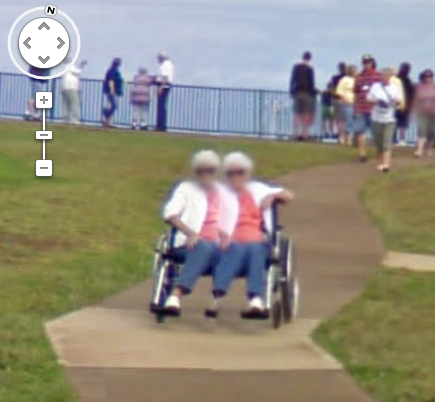 I really hope this is just a Google Maps glitch. 5. I'm seeing double, and I'm very scared. 7. Is someone, or something trying to send us a message? I'm freaked out. 9. Stern looking faces in the wilderness. Seriously. Who did this, and why? 11. What the what?! This seriously looks like a space alien.